If you’re being relocated for work, school or family reasons to Chattanooga TN for a short term stay or a more permanent transition, you’re in for an adventure! 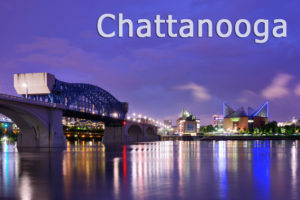 Chattanooga is one of the most frequented travel destinations in the central Southern US. There is so much to do and see in Chattanooga, from enjoying the scenic area with outdoor adventures, to amazing restaurants, shows and events, arts and culture, festivals and world-class attractions. Each time you visit Chattanooga, you will fall more in love with all the city has to offer and there’s always something new to explore. The New York Times named Chattanooga TN one of the “Top 45 Places to go” in the World. Only four US destinations were named and the Scenic City was the only place outside of California. The Scenic City lived up to its name: Chattanooga is a two-time winner of Outside Magazine’s Best Town title. It’s the only city to ever win the contest twice. Why? [Watch this video]. Tucked between the mountains of Southeast Tennessee, along the beautiful Tennessee River, Chattanooga TN is one of America’s most breathtaking cities. Whether you’re in Chattanooga as a tourist or a new resident, here is a list of must-see attractions: Tennessee Aquarium, Lookout Mountain, Rock City, Ruby Falls, Creative Discovery Museum, Tennessee Valley Railroad Museum, Hunter Museum of American Art, Chattanooga Zoo, The Delta Queen riverboat, Lookout Mountain Incline Railway, Ross’s Landing, Coolidge Park, Highpoint Climbing Wall and Tennessee Riverwalk. The city also hosts several popular festivals including the Riverbend Festival as well as the annual Southern Brewer’s Festival and River Roast festivals which celebrate such traditional Southern staples as beer and barbecue. And because of all of this, annual revenue from tourism has risen from more than $477 million in 1997 to $934.6 million in 2014. But the Scenic City also provides a great place to work, live and play. Why? Chattanooga has a rich legacy of entrepreneurs – from startups that grew into industry game-changers to civic leaders who changed Chattanooga from the “dirtiest city in America” into Outside Magazine’s “best town ever.” It has also become a hub of technology and internet industries because it was the first US city to become a Gigabit City in 2010. What is the Gig? Chattanooga is the first city in the Western Hemisphere to offer 10-gigabit-per-second fiber internet service to all residents and businesses. At hundreds of times the speed of the national average, the Gig opens the door to newly imagined ways of learning, playing and conducting business. Gallup-Healthway State of the American Well-Being released it report, “2014 Community Well-Being Rankings” with Chattanooga scored as the 14th best overall well-being in the country, but was notably the number 1 city for social well-being and number 2 in community well-being. Forbes magazine lists Chattanooga TN as #106 in Best Places for Business & Careers, #63 in Cost of Doing Business, and #154 in Education. 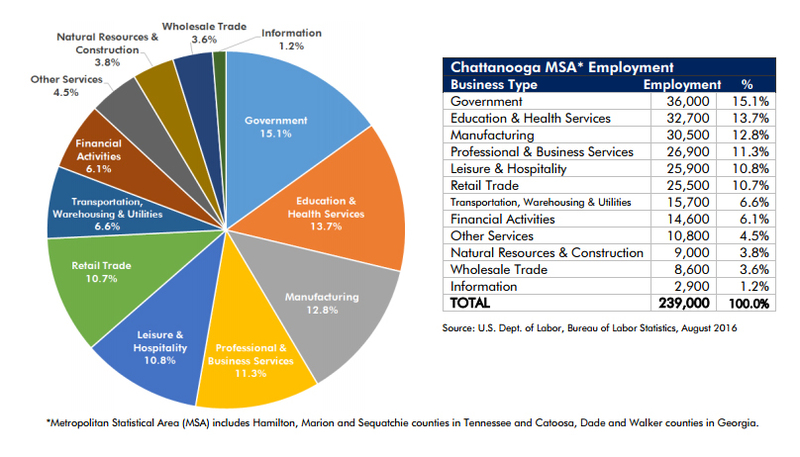 The unemployment rate in Chattanooga, Tennessee, is 5.30%, with job growth of 1.93%. Future job growth over the next ten years is predicted to be 38.55%. 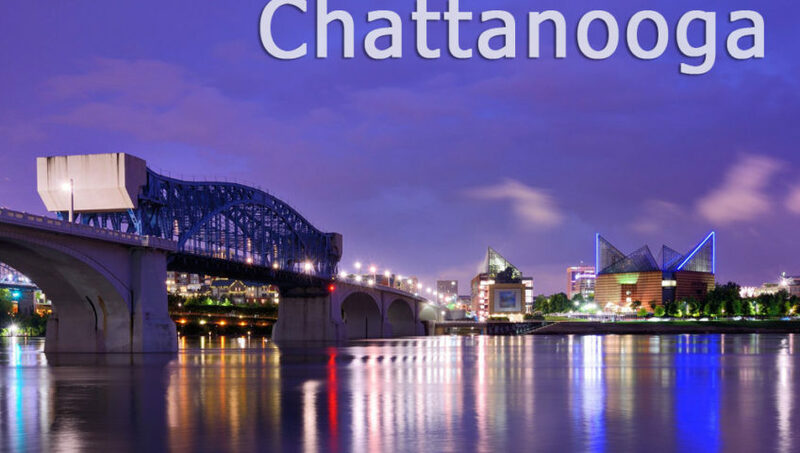 Chattanooga, Tennessee cost of living is 87.50 (US Average is 100), with affordable, quality housing as the biggest factor in the cost of living difference. According to the City Government of Chattanooga, small business growth is the backbone of their economy, so they continue to provide opportunities for entrepreneurial development. Efforts are underway to enhance the number of minority, veteran, and women-owned businesses as well. And according to the Times Free Press in December 2015 that Chattanooga job growth is expected to jump four-fold in the next five years. 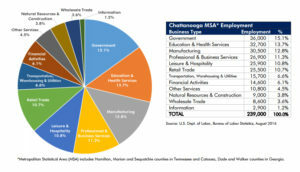 “We have one of the best places in the country to live, work and play, and with the growth of Volkswagen and other businesses, we’re seeing a real momentum in job growth, especially in family-wage jobs,” said Bill Kilbride, president of the Chattanooga Area Chamber of Commerce, which helped commission the study. If you'd like one of our representatives to contact you with assistance on your next temporary placement or housing need, please fill out the Request for Information Form. © 2016 Ideal Corporate Housing, LLC. All rights reserved.